If, in the determination to build in furniture on a party wall, requires deep drilling into the lathe and plaster and then deep into the brickwork, the seal between the 2 houses is broken, so a builder friend of mine explained. This is what Jonathan Upton employed a workman to do in his adjoining property with mine. The seal was broken. Deep thudding and movement in my living room is the result. Vases on my hearth and mantelpiece rattle. Greed and avarice from a property barrister. How could Jonathan Upton, Tanfield Chambers, be taken seriously in property law when he has proved to be an immoral, unprofessional neighbour involved in a property dispute. He had a wardrobe built-in on our party wall with him, without any concern for the affect and no party wall agreement. I went from never having heard anything from that property to hearing and feeling extreme thudding every day. Vases on my hearth rattled. If I was downstairs on another floor I could hear it and feel it. I asked him to pay for a surveyor but he refused. I said rather than pay for a surveyor I would buy him a new wardrobe - it was that bad! He agreed to remove the wardrobe before he let the property out but did not. As the worst sort of neighbour how could he possibly be one to give advice about property law. Upton said he would not reveal this dispute with us if his property was offered for sale - that is illegal. Someone in property law should know better. Our homes are listed and that wall has been intact for 200 years - until Upton callously vandalised it. What a dark sad day for historic houses in London when Upton got posession of part of one. One of the worst year's of my life was 2013 when Camden Better Homes refurbishment scheme, contracted out to LAKEHOUSE (no wonder they had to change the name to Wates Living Space as Lakehouse has such a bad name), worked on my neighbour's homes. See Building Work Images for photos. The stress was so bad, I had a sroke. 7. extensive littering of cigarette butts on my roof by these workmen which Camden refused to stop happening, maybe couldn't stop happening, because they had no control over these "workmen"
10. no information from Camden claiming "data protection"
Fairies live at the bottom of the garden, in this old flowerpot.
? now the sun is setting ? I bought the set of 3 or 4 fairy stories, one about rainbow fairies, I can't remember the others, from Safeway in Wembley Park, about 1985. This is my childhood copy of Alice in Wonderland. It includes Through the Looking Glass. 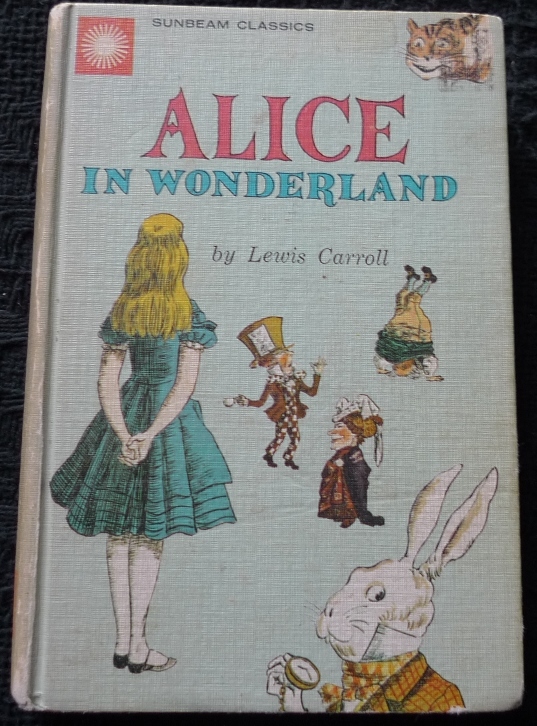 I read it a number of times when I was younger - and recently when I dug it out after seeing a documentary about Lewis Carroll. I don't like accepting cookies while browsing so use Firefox and ask to be prompted when a site tries to save a cookie. One very persistent one, which I can't find anything about, is srv-date-increment-parsley.config.com. I just got that request while updating this page. How is that possible? What the heck is it and why hasn't anyone posted anything about it? How can it increment a number in the cookie that it's trying to save on my pc - if it hasn't saved a cookie? I don't understand it all but this is very annoying. I'm fascinated with a little-known long distance path called Monarch's Way. It traces Charles II's escape route after the battle of Worcester when he traveled incognito to make his way to a port on the south coast so he could get to France in 1651. Oliver Cromwell's soliders were in close pursuit and would have probably executed him if they had caught him. The 6-week journey gave Charles the chance to experience life in England as a commoner which no other monarch before or since has had the opportunity to do. "after the war Lord Euston devoted himself to the conservation of historic buildings". This was an interesting exhibit at the National Portrait Gallery. 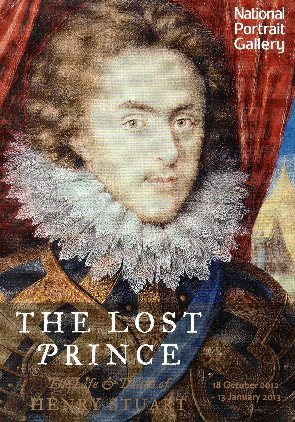 I am losing a lot of sympathy for Prince Henry now that I'm reading how cruel he was to his brother Charles (the future King Charles I) which probably contributed to what a poor king he turned out to be. 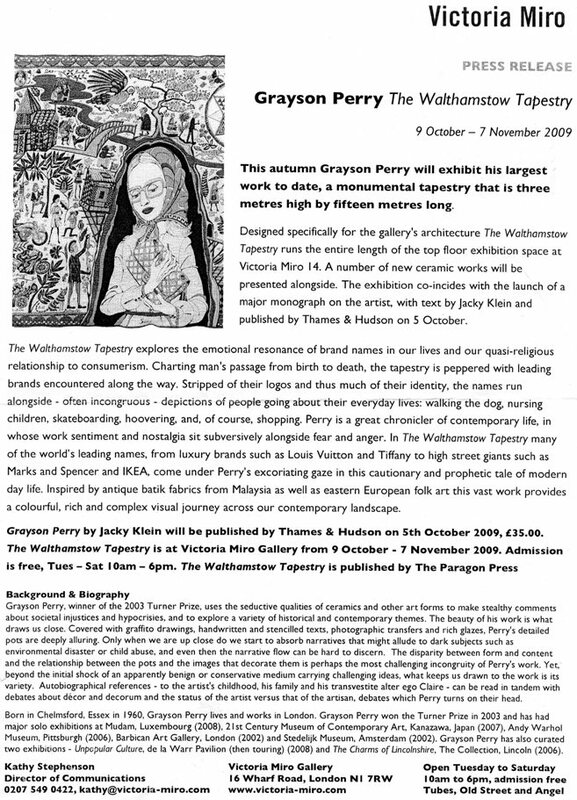 It seems not that long ago I went to see the Walthamstow Tapestry. I'm surprised to see it was 3 years ago. I came across this information sheet about the exhibit when tidying up recently.